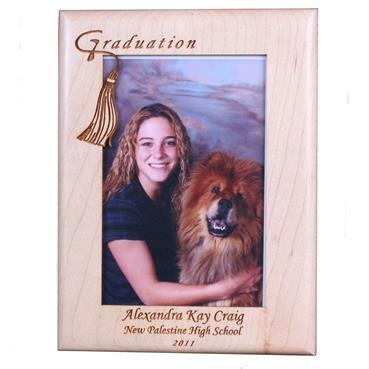 Our personalized graduation picture frame is personalized with the name of the graduate, school attended and year of graduation. The picture frame holds a 4x6 photo. 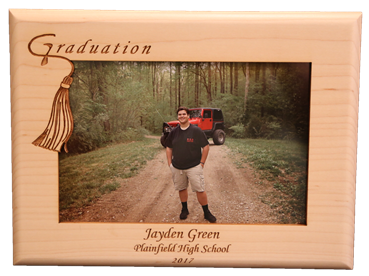 Each Frame is Personalized with the following information: Graduate's Full Name, School Attened, Year of Graduation. Graduation appears with a tassle cutting into the photo area.